The basis of winning in politics is to find a common enemy or cause that arouses deep seated emotions in a large population across religion, economic status or race. 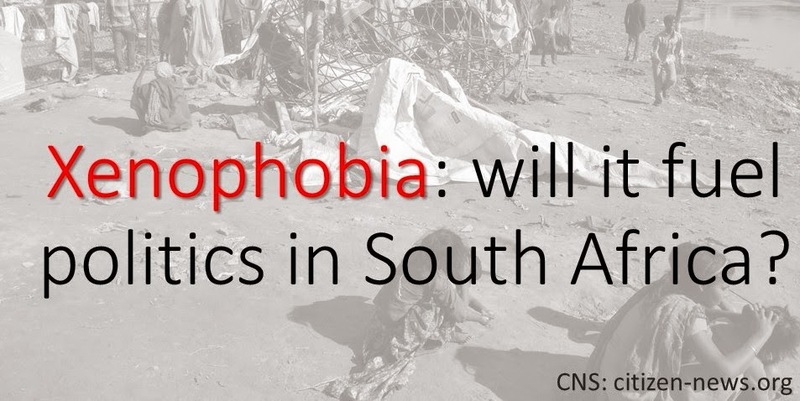 The leadership in South Africa has found Xenophobia as a uniting propaganda. If you are economically stable and staying in low density suburbs like Sandton you are made to believe you are not safe because foreigners are the “crime drivers” in your neighborhood since they do not have proper immigration papers to get good employment. On the other hand those who are uneducated and unemployed, well unemployable really, are convinced that the foreigners stole their job opportunities. Hence, without a doubt, this xenophobia propaganda rouses anger, desperation and violent emotions that will make any South African vote for a party that eliminates these issues of assumed discomfort. But is that really the problem? The leadership will win and soon forget such promises just like any political propaganda; they may even speak against it. South African people are being manipulated to drive a few people's dreams into reality. Unfortunately, the game of politics is dark, thoughtless and downright dirty, to say the least. No one really cares about the actual social moral fabric and economic problems. Rectifying the damage will take decades. It is plausible to say that the culture of violence in South Africa also emanates from the process of shift from apartheid--the general population tendency is towards violence whenever there is the feeling of discomfort. A 34 year old foreigner living in Durban, born, raised and schooled in South Africa was forced to quit his job, pull his two children out of school and take his family back to Zimbabwe. He is going back to a family he last saw more than two decades ago, to re-start his life in a country that will be more foreign to him than home. This is after spending two months with his wife and children in a four bed-roomed house scared of possible nocturnal attacks. It is however, time for our African leadership to take a strong stance and break this epidemic before it takes over the region and the continent at large. The generation of children born in this era will inherit this territorial borders infused hatred. Humanity will suffer as long as good men do not use their goodness to bring about a change in the current situation.